save on the plentiful months, and be more prepared for the slimmer months. Our friend Charissa Quade is an expert on budgeting on a variable income and has some great resources for those who are as well. Whether this is your primary or side income, you should keep track of your income and expenses so you know how you are doing. Alright – let's get to the breakdown for the month! Once again, Sleep Number mattress components made up a good amount of the sales this month. 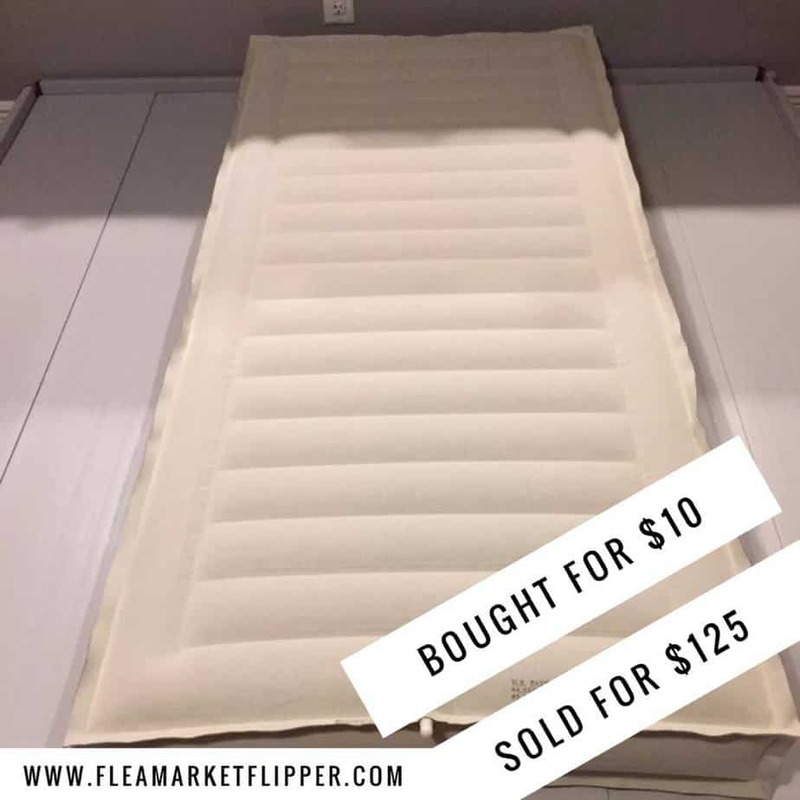 (Sorry if you are tired of hearing about them- but they have been a consistent seller!) If you have been around here a while, you know the mattress story. Another funny part of the story, I bought these exactly three years ago. I remember because my second daughter was just born and I left the hospital to pick up the last 30 mattresses. (Of course mom and baby were doing well – I just left them to rest for a couple hours.) That daughter just had her third birthday this week! I can't believe I just started splitting these mattresses up a several months ago. 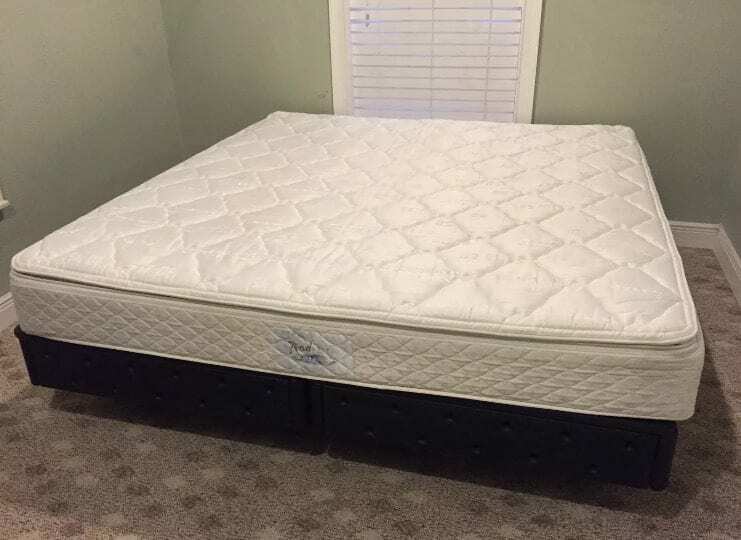 The mattresses split up make me an extra $400-$500 per completed mattress! Oh well. I am still very grateful for what they have brought in over the past three years. One fun flip this month was a 1962 Ford Thunderbird Chrome front bumper. I loved the look of this bumper and was kind of sad to see it go. But I made $310 on it, so I wasn't too upset about it. I bought it for $40 from a lady on the app Let Go, and sold it on eBay for $350. 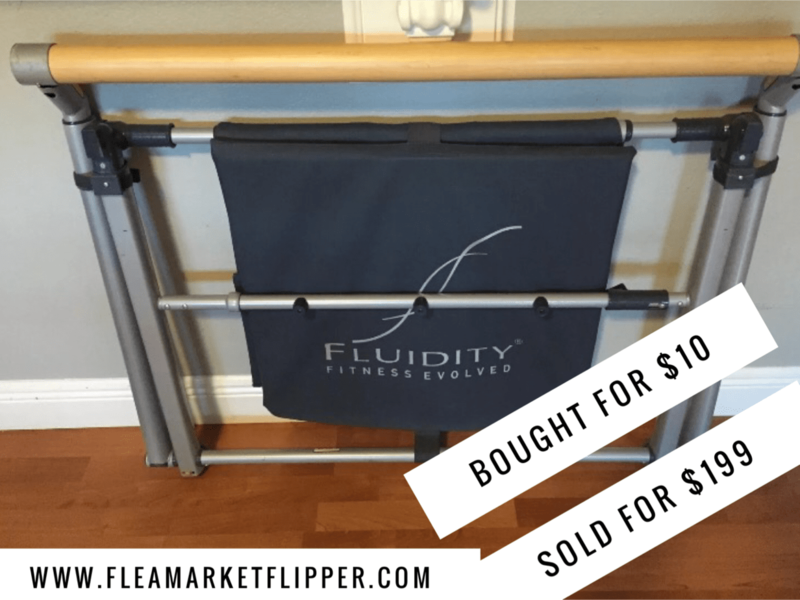 We also sold this Fluidity Bar. This is my 3rd or 4th one of these that I have sold. My sister actually gave me this one when she was moving, so there was no investment. Just $199 pure profit. Another fun flip from the month was an arcade game. 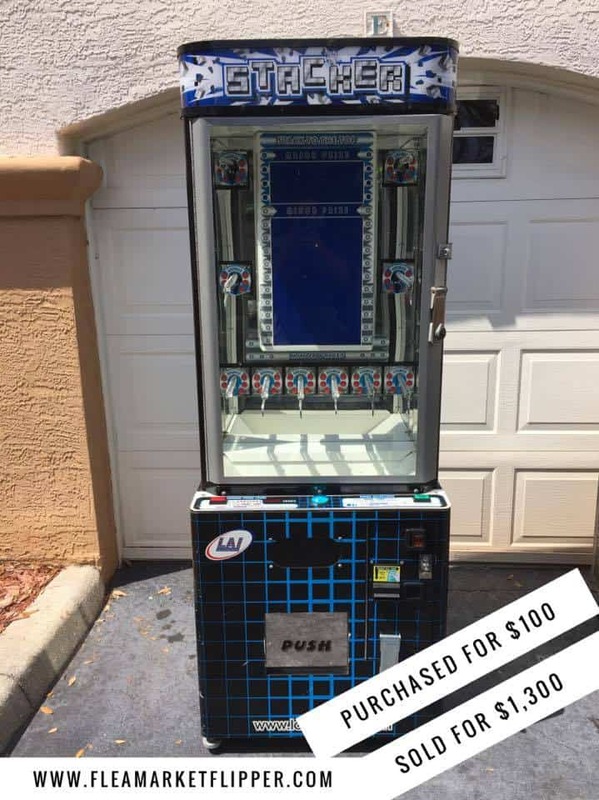 I bought it for my future game room (You can see some other ones that I purchased as well), but a game room isn't in the cards in the near future since we are moving into a 5th wheel and traveling the country. Which means everything is currently for sale. Including all my fun game room finds. This is one of those machines that you try to win the prize inside. Sort of like the claw machines (my FAVORITE – and I usually win). I bought this from a vendor at the flea market. He didn't have it out for sale, but he knew I had purchased some other things from him and brought me back to show it to me. Of course I bought it for $100! And sold it last month for $1,300 on eBay. This guy was local so he came and picked it up and I didn't have to ship it. I would have shipped it like the last arcade game I shipped, if I needed to. If shipping large items is something you struggle with, check out our latest ebook – The Art of Shipping: Packaging and Shipping large items for eBay. Our biggest money maker right at the beginning of the month was selling a large lot of concrete stamps. I bought a huge amount of stamps 2 years ago from a vendor at the flea market for $1,050, and sold a portion last month for $3,000. This portion cost me approximately $300, so that was a 1,000% return on my investment. The buyer wants to buy the rest of the stamps for another $7,000, so hopefully that goes through this month. That's it for the month of April. Below are the totals for expenses and profit. And like I mentioned earlier, they are great numbers, and would be awesome for side income, but we would love for them to be a little higher for our full time income. May is a new month! Here we go! 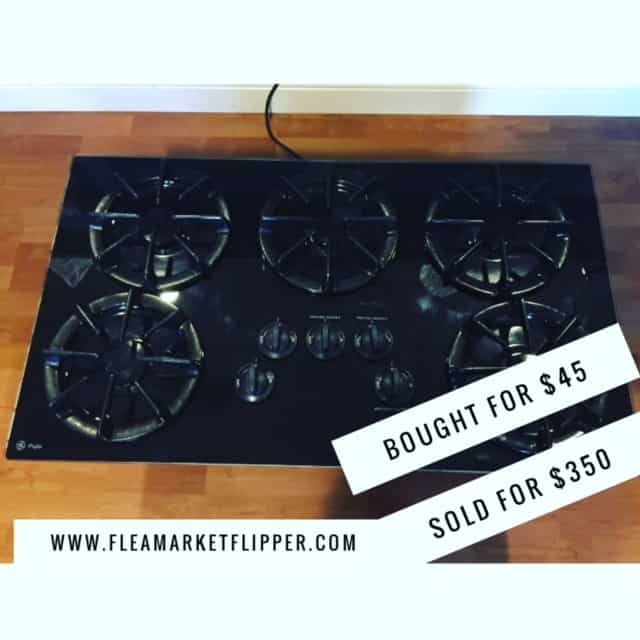 You can also check out our FREE 5 day e-mail course to see if flipping could be a good fit for you! 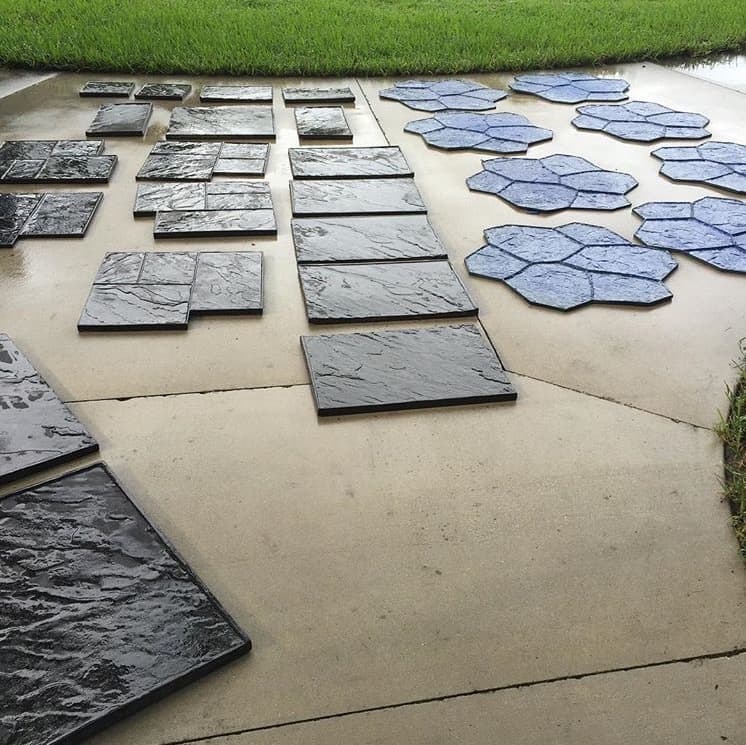 Do you currently flip items for a side income a full time income? If not, have you wanted to start? 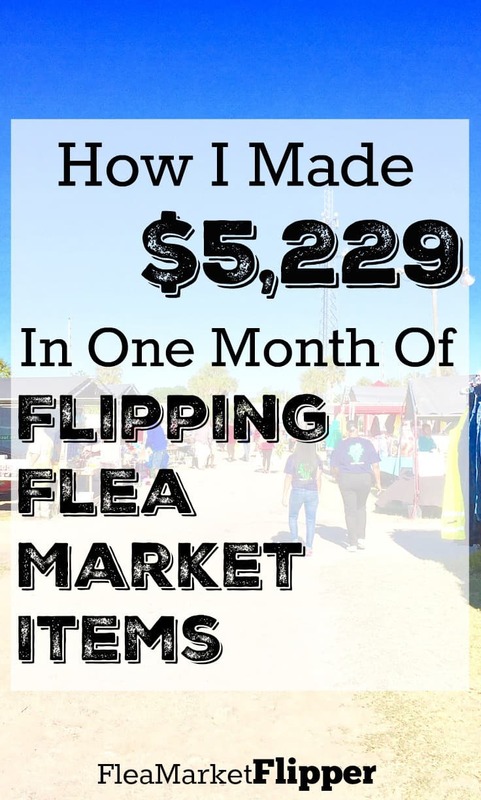 How I Made Over $130,000 last year flipping flea market items for profit. Should YOU be Flipping Items for Profit? I’m curious what is concrete stamps? I have a massive collection of stamps that I need to sell but I never had concrete stamps. It be so awsome if you could write a post on selling stamps and what is vauable as I have a hoard collection I need to get rid of. I really like the arcade machine very cool. So these sleep number mattresses sell very well very cool. Love your site and reading about your finding success. 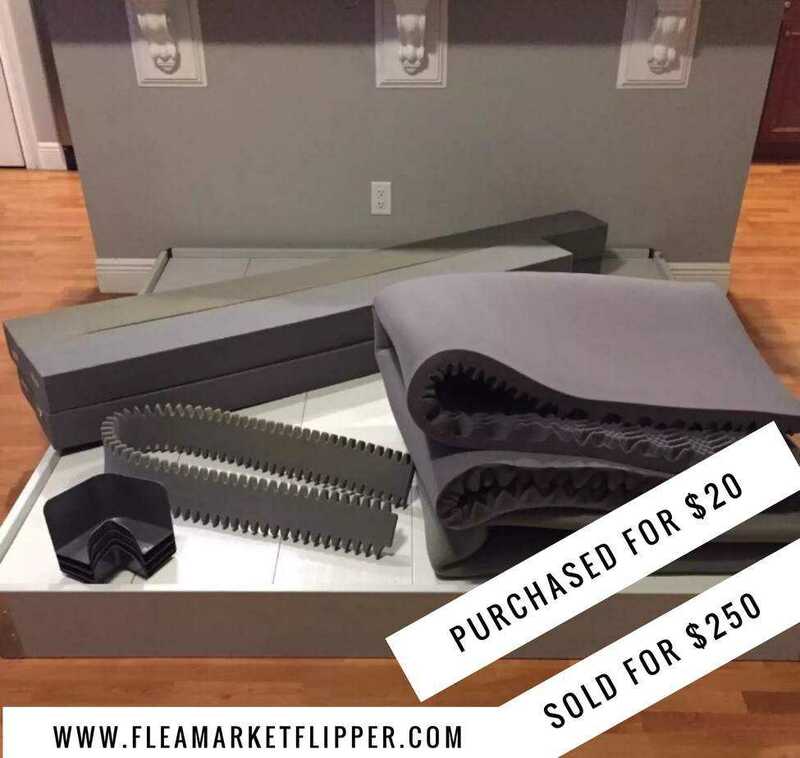 I plan on purchasing your course about flipping items. It not only can make some decent income, but looks like fun, too. Hope you and your family are ok after the recent storms! Hi Richard! thank you! Our house and area did ok with the storm. The fun aspect is my favorite part. I really get energized by the hunt for good finds! That’s great! Do you take any money out for personal expenses?